This entry was posted in Uncategorized and tagged baked, Bread, breakfast, Brunch, cooking, dessert, Donut, food by christao408. Bookmark the permalink. Baked doughnuts = brilliant! 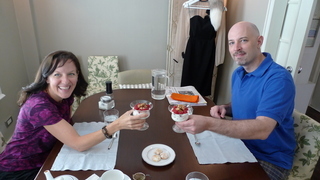 I think the yogurt parfaits look delicious and I’m betting they tasted even better… I need to go eat breakfast now. oy. My breakfast will pale in comparison… that looks *great*! 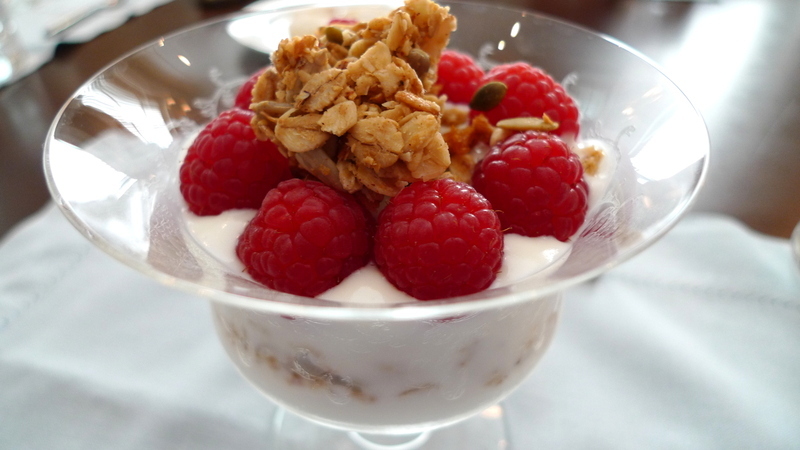 Yogurt + fresh fruit + granola = the breakfast or champions well it is mine as often as possible. The baked donuts are more healthy than the greasy ones but I need stay away from both – ok I cheat and bake some from time to time. You should try doughnuts with no holes. By the way, what ever happen to your vegetable garden ? I’m trying to imagine a “fluffy” donut. @The_Eyes_Of_A_Painter – I’ve been taking pictures along the way and will do a fourth entry in the series soon. There are five tomatoes ripening on my vines, although three or four had blossom rot so the bottoms of the fruits are black. Small eggplants have been quite productive and carrots are ready for harvest soon. Beets have been a waste of space, though. @Inciteful – Well, very light versus very dense texture. @hilabpartnerxD – That would have been a solution, huh… Well, I’ll remember that next time. @bmojsilo – And then fill them with jelly! @Fatcat723 – Yeah, you cheater! =P@murisopsis – One of those things that I really, really miss is fresh berries. @Passionflwr86 – Time to crank up the oven, Meg. @nov_way – You are welcome. 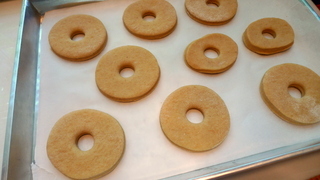 The baked donuts look amazingly fresh and I can almost smell the cinnamon sugar. The parfait is to die for it seems! @ZSA_MD – Thanks for the recommendation. I’d like to try these donuts again soon and maybe glaze them. 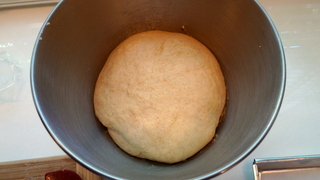 @ElusiveWords – If you use whole wheat flour, you would probably need to up the yeast to compensate. A better option might be to do a mixture of whole wheat and cake flour to keep them from becoming too dense. @fauquet – Thanks Michael – I, too, am fascinated with the idea that elsewhere in the world it is an entirely different time of the day or, moving north-to-south, an entirely different season. Now you’ve made me hungry and it’s past my bedtime!!! Darn, those look good. I’d like to try them someday. Used to do a lot of baking of yeast breads, sweet rolls, Sweedish tea rings and sticky buns but never tried to make yeast doughnuts. 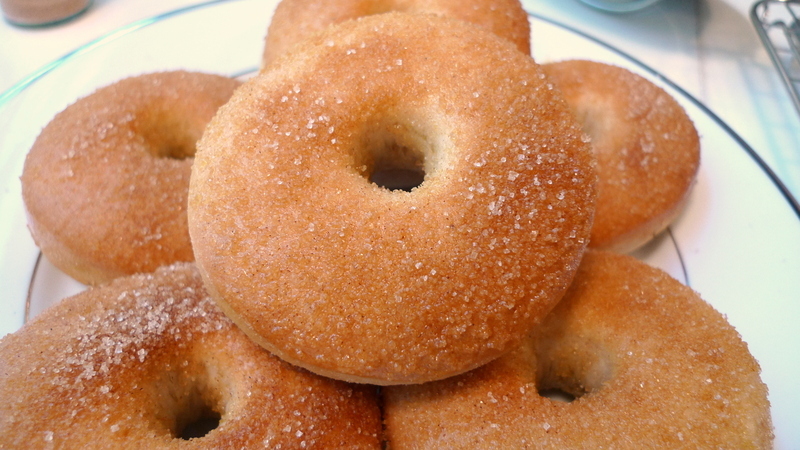 My G’ma Bessie used to bake bread and rolls every week but always made the fried doughnuts that you shake afterwards in a paper bag filled with cinnamon sugar or powdered sugar to coat….always funny shapes to them. You could open your own gourmet food shop or restaurant, Chris! OH MY GOD. put it in my mouth now :(. I want it sooo bad. Hmmm…never even heard of a baked doughnut before but the cinnamon sugar definitely sounds delicious. mmmm….. they look scrumptious!! especially when you topped it off with some cinnamon. gosh, can’t remember the last time i had a donut. @rudyhou – Donuts aren’t usually on my to-eat list, but these baked donuts are a lot lighter than the fried ones. @christao408 – which is how i prefer mine. light. when it is dense or firm i find it like eating a cake or bread. that looks awesome.Haven’t had doughnuts in years!